Johnstown is home to over 20,000 residents and is nicknamed “Flood City”. 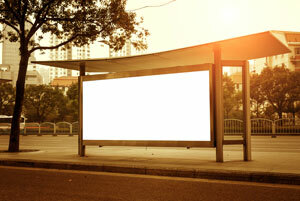 There are numerous effective advertising opportunities within the city. Utilize out-of-home advertisements in the many neighborhoods of the city such as Kernville, Roxbury, and Woodvale to capture potential customers. Target your audience with outdoor billboards or other outdoor advertisements near any of the colleges in Johnstown such as the University of Pittsburgh at Johnstown and Pennsylvania Highlands Community College. The major roadways and highways that service the city also provide billboard possibilities. Billboards on the Pennsylvania Turnpike or US 22 would generate high traffic exposure of your business. Zip Codes: 15901, 15902, 15904, 15905, 15906, 15907, 15909, 15915.